Make sure all users logged out and only Administrator (or user with equal rights) is logged in. If the server has been running for a long time, I would recommend a reboot before starting as well. 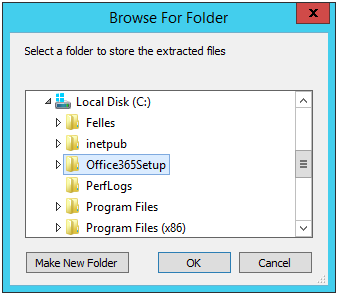 The Office365 ProPlus installation files will be downloaded to the current folder. When the installation is complete, the Office suite will be available for use. 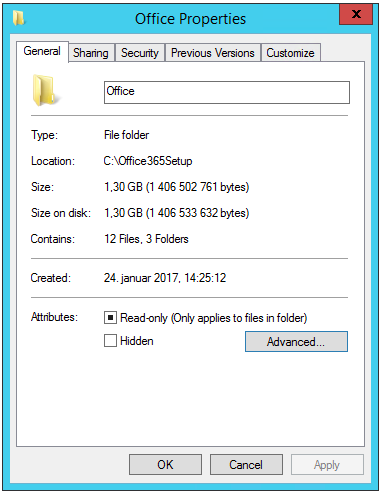 Remember that the installation is run in silent-mode, that means that there will be no indication that Office is being installed. (You can look at Task Manager for running processes if you want.) When the command prompt returns to normal and you see the Office shortcut icons, setup is finished. 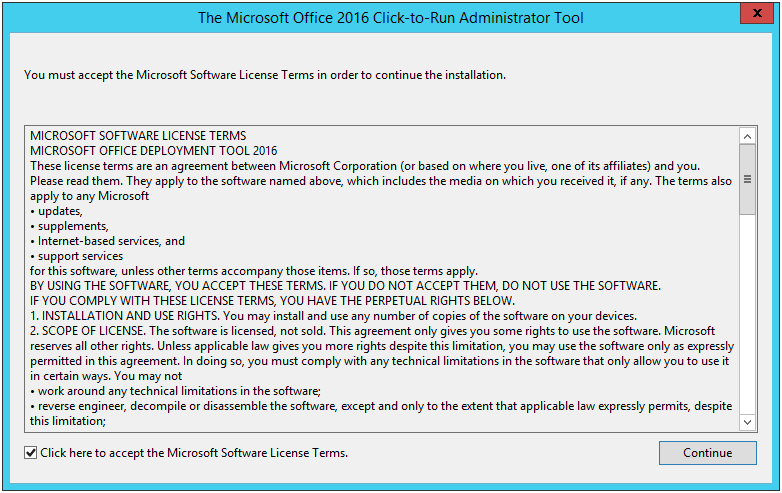 On starting the one of the applications, you will be prompted to Activate Office. Click Next and Sign in with your Office 365 account. Once signed in, you are ready to go. 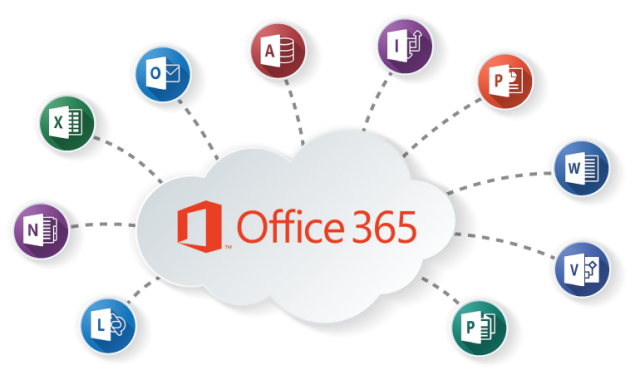 Office will automatically activate and configure the applications as needed.